On August 20, 1970, Egil Øyjord demonstrated his self-propelled seed drill for the winner of the Nobel Peace Prize 1970, Dr. Norman E. Borlaug. 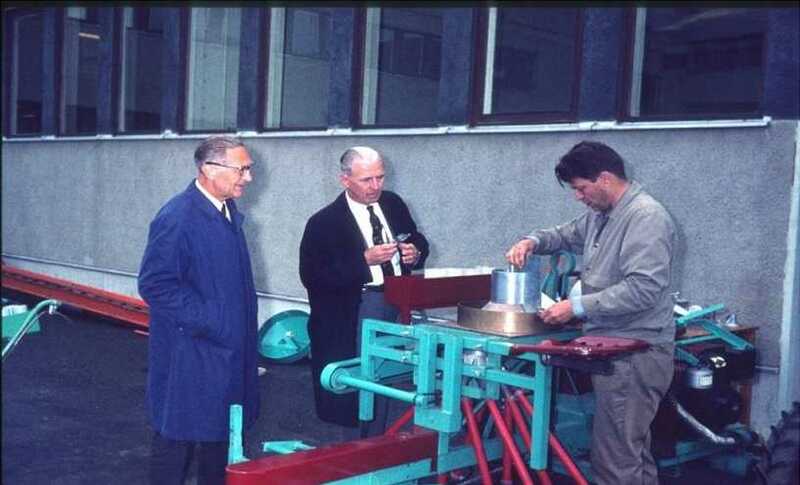 To the left Oddvar Aresvik who was a good friend of Dr. Borlaug. In 1972, Dr. Borlaug awarded Egil Øyjord the Mexican issued “Green Revolution Medal”.